A man with a history of public indecency arrests was tackled by a Massillon police officer after he allegedly exposed himself inside a Walmart and tried to run from the store. Video released to Cleveland-based WEWS shows Jesse Hill, 51, being tackled by Officer Teddy Hyatt near the exit of the business. "When I jumped on his back, there was a sign sitting in the middle of the exit and we kind of went right through it. When he landed, he hit his head on the ground and busted his front teeth out," Hyatt said. "I busted my knees on the ground. They're a little swollen, but nothing serious." Officers responded to the store on Tuesday after getting a report that a man was exposing himself in the shoe department. Hyatt said during questioning inside the store, Hill gave a fake name and then ran from the cash register area to the front doors where he was brought down. Hill was taken to a hospital and received a summons to appear for public indecency and obstructing official business. 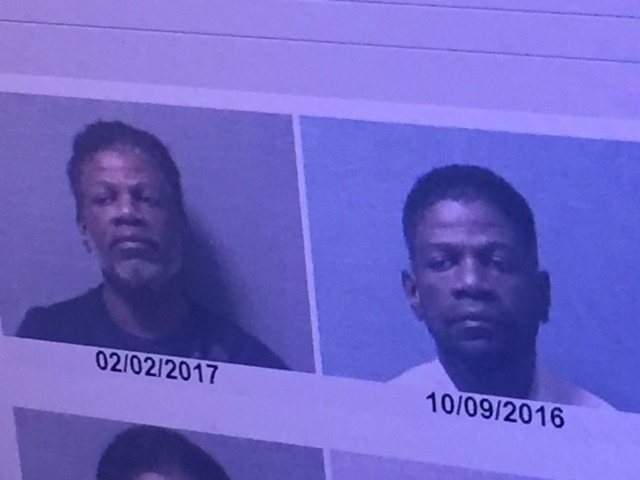 Hyatt said Hill has five prior convictions in Stark County for public indecency and is on probation through Canton Municipal Court. "I don't understand it. He said he doesn't understand. He says he gets these impulses which cause him to do stupid things, and I agreed with him that it was pretty stupid," Hyatt said.